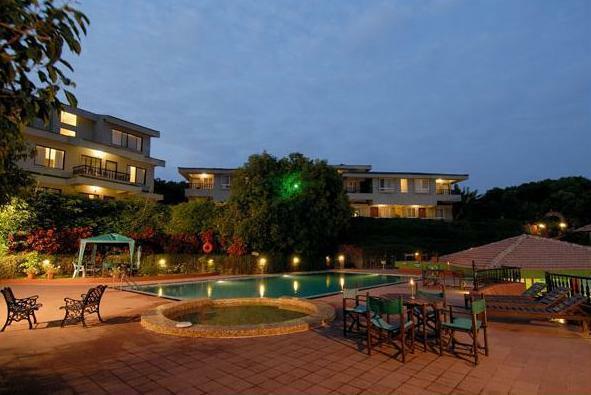 Ramsukh Resorts is a very popular retreat vacation hotel offering lavish accommodation options and indulgence services to patrons visiting Mahabaleshwar. 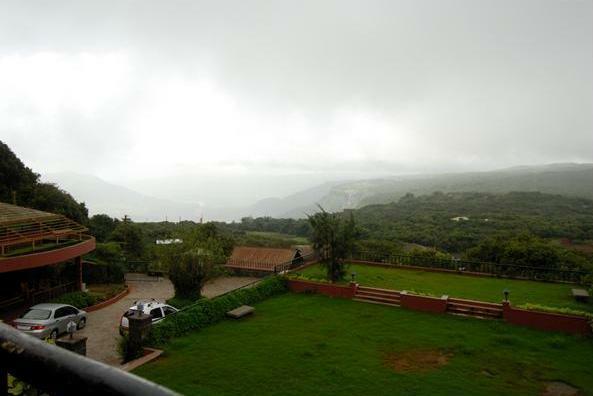 The resort is located near Venna Lake and Mahabaleshwar City Market and enjoys close proximity from other popular tourist spots of the hill station, making it one of the most sought after resorts available here. 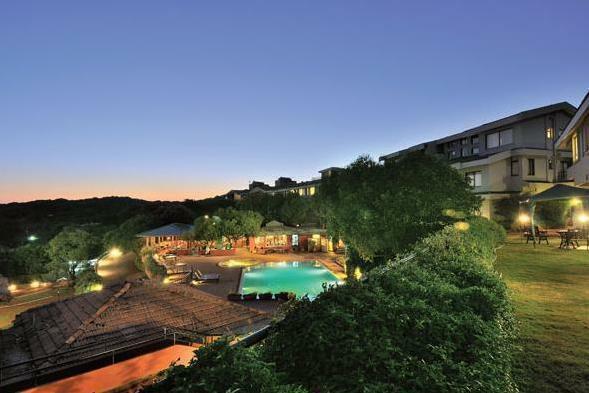 Surrounded by natural scenic beauty, the resort offers a unique setting in which patrons can relax, unwind and recharge themselves while enjoying nature at its best. As far as accommodation is concerned, the resort offers several options in three wide categories of Deluxe Rooms, Heritage Suites and Solitaire suites. All the accommodation options available at Ramsukh sport classy décor and are equipped with modern facilities and features that make them stand apart from their competitors. Being a vacation retreat resort, the hotel offers all services and facilities on its site, in line with this, the hotel has developed an onsite multi cuisine restaurant that serves culinary delights from across India and the globe. 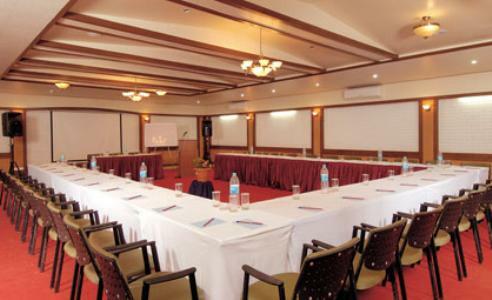 Other facilities available at the resort includes a well equipped and sophisticated conference hall, amphitheater, discotheque, exotic spa center which offers several treatments, king size Jacuzzi, swimming pool, gymnasium, parking space and others. 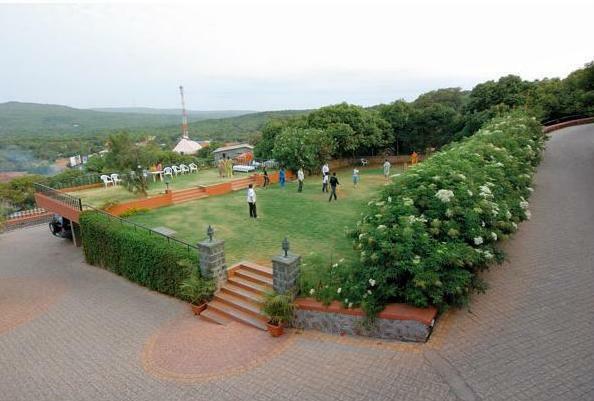 The unique setting and lavish nature of the accommodation provided here, makes Hotel Ramsukh Resort one of the finest luxury retreat centers in Mahabaleshwar. 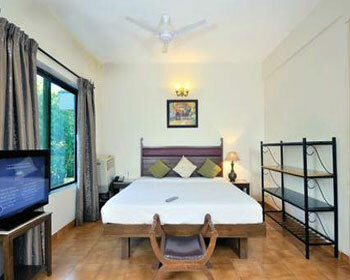 Forest Deluxe rooms are one of the simplest rooms offered by vacation destination Hotel Ramsukh Resorts, Mahabaleshwar. The room are quite compact and structured in futuristic way that opens up lot of space on the inside offering enough room to guest for their daily activities. Located on the rear side of the resort, the Forest Deluxe Rooms sport very elegant décor and classy interiors that complements the surrounding scenic natural beauty. The interiors are designed by expert decorators by fusing modern design style and local cultural elements seamlessly, giving the Forest room very opulent charm. Apart from pretty looks and classy interiors, the Forest Deluxe Rooms are also very comfortable to stay in, thanks to modern amenities that are included as part of the room. These include LCD television with satellite connection and subscription to premium channels, telephone with direct dial facility, electronic safety deposit locker, tea and coffee maker, mini refrigerator, glass shower cubicle, running hot and cold water and a spacious balcony that offers unrivaled view of surroundings. The practical amenities and classy setting makes it one of most practical stay options in the city. Premium comfort and premium luxury, these are the factors that are most highlighted in the Forest Premium Rooms offered by Hotel Ramsukh Resorts, Mahabaleshwar. These rooms are spacious and are built in a unique manner that opens up lot of room on the inside, offering ample space for guest to conduct their daily activities. The rooms are located on the rear side of the resort and are surrounded by scenic greenery on all the sides. The décor of the Forest Premium Rooms is kept very simple and elegant in a way that complements the tastes and preferences of patrons it attracts. 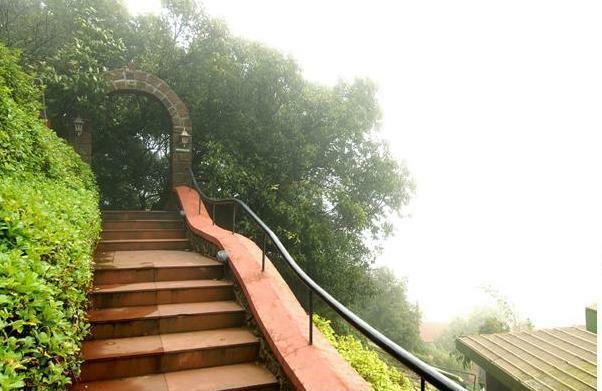 The interiors are adorned with artistic paintings and artifacts that reflect local culture of Mahabaleshwar. Equipped with modern amenities and facilities like LCD television with satellite connection and subscription to premium channels, telephone with direct dial facility, electronic safety deposit locker, tea and coffee maker, mini refrigerator, glass shower cubicle, running hot and cold water; the Premium Rooms are sure to pamper guests in the best possible manner. 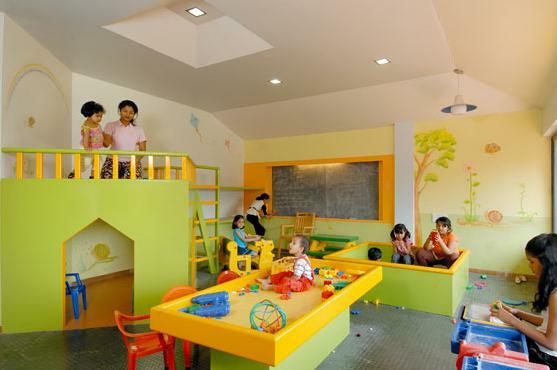 The spacious nature and comfortable setting make them ideal for couples traveling with kids. 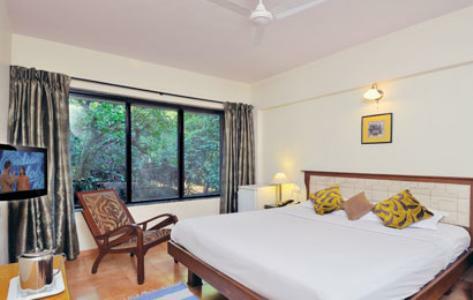 If space is your prime requirement while choosing your vacation accommodation option in Mahabaleshwar, then the Forest Suites available at Ramsukh Resorts are ideal for you. These suites are located on the rear side of the resort and are surrounded by scenic natural beauty that fill them with calming charm. The spacious Forest Suite is divided into different sections such as master bedroom, living room and lavish bathroom; all of which sport very classy décor and practical amenities. The overall décor of the suite is kept very gracious and is embellished with artistic paintings and cultural elements that bring out the opulent aura. Apart from looks and décor, the rooms are also fitted with practical modern amenities and facilities like LCD television with satellite connection and subscription to premium channels, telephone with direct dial facility, electronic safety deposit locker, tea and coffee maker, mini refrigerator, glass shower cubicle, running hot and cold water, which make them very comfortable to stay in. Ideal for medium sized families and group travelers, the Forest Suites have earned great reviews from guests. Enjoy the mesmerizing view of the Krishna valley right from the comfort of your lavish room, by booking a Valley Deluxe Rooms at Hotel Ramsukh Resorts. These rooms are themed around natural scenic beauty that it overlooks and therefore reflect simplicity and elegance in a unique and distinct manner. A standout feature of the Valley Deluxe rooms, is the private sit out balcony that overlooks the gracious beauty of the valley. Apart from the charming view, the Rooms also have very classy décor and interiors that are inspired by the view and embellished with artistic paintings, sculptures and cultural elements. The rooms are also provided with all modern amenities and features to keep guests pampered and satisfied during their stay here. The main among them include LCD television with satellite connection and subscription to premium channels, telephone with direct dial facility, electronic safety deposit locker, tea and coffee maker, mini refrigerator, glass shower cubicle, running hot and cold water. 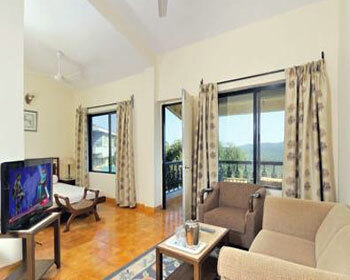 Mesmerizing view and premium amenities, make Valley Deluxe Rooms stand apart from their competitors in Mahabaleshwar. Enjoy and serene and calm beauty of the nature and enjoy the unrivaled view of the Krishna valley, by choosing to stay at the Valley suites offered at Hotel Ramsukh Resorts, Mahabaleshwar. These spacious suites are aimed at families and group travelers, who need ample space and amenities to enjoy their vacation time together. 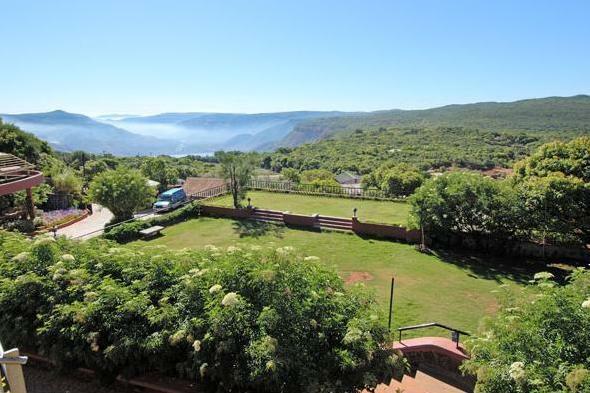 The Valley Suites consist of a master bedroom, living room and an attached bathroom along with a spacious balcony that overlooks the beautiful valley. All the rooms are adorned with gracious décor and interiors that are designed by expert decorators keeping in mind the majestic view. The room also boasts of premium furnishings and comfortable furniture that adds charm and opulence to the overall setting. 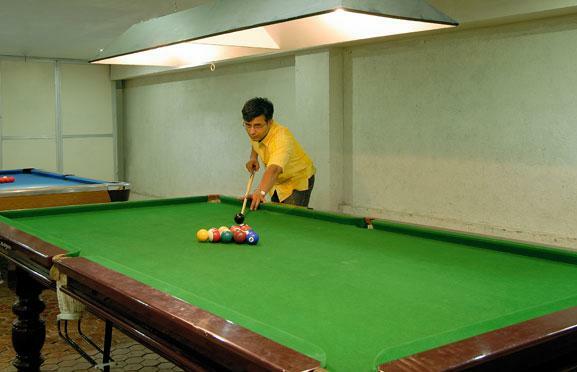 The Valley Suites are also provided with necessary amenities and facilities to keep guests pampered. These include LCD television with satellite connection and subscription to premium channels, telephone with direct dial facility, electronic safety deposit locker, tea and coffee maker, mini refrigerator, glass shower cubicle, running hot and cold water. The spacious nature of the suite and practical amenities make Valley suites ideal accommodation option for families with kids or groups. If space is the prime requirement for you, while choosing your vacation accommodation option in Mahabaleshwar, then the Two Bed Suites available at Hotel Ramsukh Resorts will serve your purpose. These suites are compact in nature but are structured in such a way that they offer ample space on the inside for guest to enjoy their vacation time with their loved ones. The Two Bed Suites consist of two large bedroom with an attached bathroom, spacious living space, dining area and a graceful balcony that overlooks the majestic natural beauty that surrounds the place. The décor of the suites is kept simple and neutral to suite tastes of guests from different places. The interiors are adorned with artistic paintings, classy sculptures and local cultural elements that give it opulent aura. 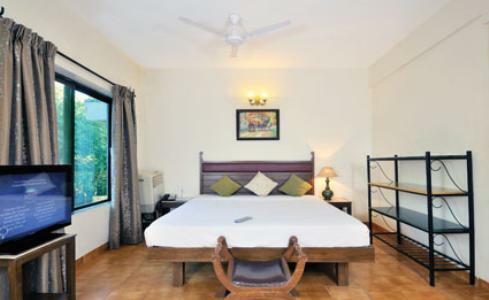 In addition to these, the room also boasts of several modern amenities and features like LCD television with satellite connection and subscription to premium channels, telephone with direct dial facility, electronic safety deposit locker, tea and coffee maker, mini refrigerator, glass shower cubicle, running hot and cold water. The unique ability of Two bed suites which enables families and group travelers to stay together and enjoy the vacation, this has earned them rave reviews from guests. Located on the ground floor, the Two Bed Compact Suites are one of the finest accommodation option available at Hotel Ramsukh Resort, Mahabaleshwar. This suite is designed keeping in mind needs of group travelers and therefore it consists of a lavish living room, two plush bedrooms each with an attached bathroom and a balcony that offers gracious view of the surroundings. The rooms are designed by experts as per the tastes of guests that it attracts. They are also fitted with necessary modern amenities like LCD television with satellite connection and subscription to premium channels, telephone with direct dial facility, electronic safety deposit locker, tea and coffee maker, mini refrigerator, glass shower cubicle, running hot and cold water, to ensure that guests stay in comfort. 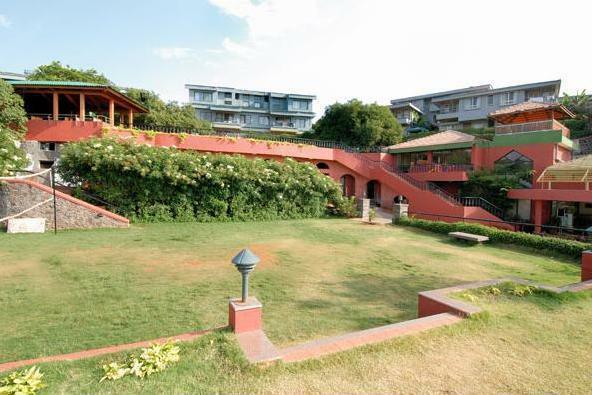 Ixora Suites are one of the signature accommodation offerings available at Hotel Ramsukh Resorts in Mahabaleshwar. These suites were designed by expert architects and experienced decorators to create a setting where guests could Relax, Rewind and recharge themselves in the lap of nature. The Ixora suites are fitted with several special features and facilities, which make it stand apart from its competitors. 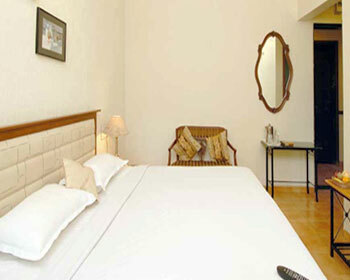 Patrons are provided lavish suite, which consists of a lavish living room, bedroom and premium bathroom and a balcony. The bathroom houses personal Steam Jacuzzi (1000 liters) and offers round the clock hot and cold water to pamper all the senses of guests. The front facing balcony of Ixora Suites overlooks the scenic view filling the room with elegant charm and simplistic grace. Other features of the Ixora Suites include split air conditioning system, widescreen television set with satellite connectivity and premium channels, CD audio system, telephone with speaker facility and direct dial service, microwave oven and tea and coffee maker. The indulgent amenities and gracious setting makes Ixora suites a great accommodation option. Experience kingly hospitality by choosing to stay at the Maharaja Suites offered by Hotel Ramsukh Resort in Mahabaleshwar. 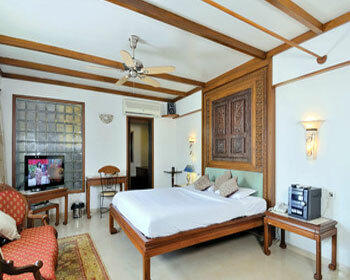 As the name suggests, the Maharaja Suites is all about kingly comfort and lavish indulgences. The Suites consists of a lavish living space, opulent bedroom, spacious balcony and a bathroom that features premium fittings. The copious bathroom has been a stand out feature of Maharaja suite, as it consists of Personal Steam Jacuzzi (1000 liters) and round the clock availability of hot and cold water. Apart from these, the suite has very charming décor and classy interiors, which are uplifted by artistic paintings and artifacts. The majestic view further elevates the opulence ambience of Maharaja suites. Other features and facilities included in the suite includes split air conditioning system, widescreen television set with satellite connectivity and premium channels, CD audio system, telephone with speaker facility and direct dial service, microwave oven and tea and coffee maker. If you are one of those who seek something different and unique for their vacation, then the Hut at Hotel Ramsukh Resorts will not disappoint you. The Hut is a unique accommodation option offered by the resort, which is set in natural setting and offers guests a chance to experience nature in its truest form and glory. 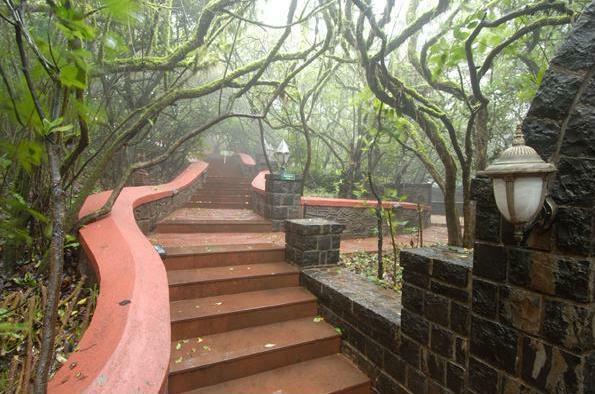 A narrow, winding pathway leads to the Hut, which surrounded by dense green cover and manages to impress both local folks and foreign guests at first sight. Once you enter, the wood paneled interiors will charm you with their simplicity and elegance. The simplistic nature of the rooms is further enhanced by its unique structure and classy interiors that offer it opulent charm and feel. Although the room looks very simple and plain, it is loaded with all the modern amenities and features to keep guess pampered and satisfied during their stay here. The main among them include premium bathtub with jet sprays, LCD television with satellite connection and premium channels, personal steam Jacuzzi (1000 liters), continuous availability of running hot and cold water, split air conditioning, widescreen television, CD audio system, telephone with speaker facility and direct dial service, microwave oven as well as a tea and coffee maker. 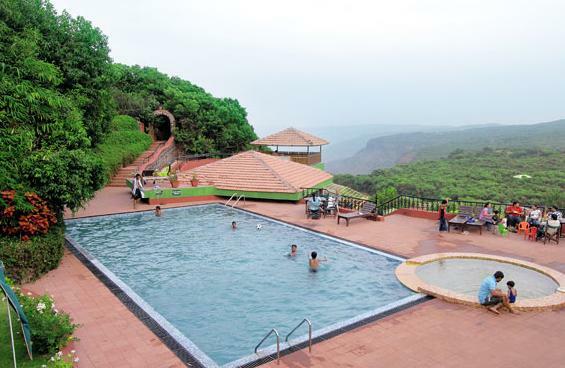 Traveling with your family or group of friends to Mahabaleshwar for a vacation; then you will need an accommodation option that host all you together and offer all the comforts and conveniences suited to all the members of the group. 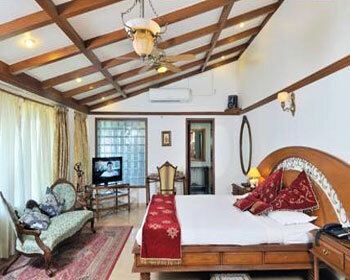 Worry not, Ramsukh Resorts offers exactly what you seek in the form of Two Bed Heritage Suites. This suite is structured in unique ‘L’ shape design that houses two spacious bedroom each with an attached bathroom and a small entrance hall. As all other heritage suites on offer here, the Two Bed suite also comes with an outside verandah, internal verandah as well as a paved courtyard. Being a heritage suite, the rooms are structured in unique fashion that revives the old world charm and offers guests a setting that is very simple yet elegant in its own distinct way. Sloping roof, Mangalorean tiles, old solid wood pillars, wooden rafters in the ceiling, artistically carved wardrobes, continuous wooden windows and a decorative antique bedback; all give the Heritage suite regal opulence. The unique ‘L’ shaped structure opens up lot of space on the inside as well as on the outside, which results into a 300 square feet verandah and a 1000 square feet courtyard. Apart from its rustic look and old world charm the heritage suite also boasts of all modern amenities and features to keep patrons pampered during their stay here. If you love nature and want to spend your time enjoying the its beauty, then the Garden Heritage Suite is ideal accommodation for you in Mahabaleshwar. The Garden suite is themed around the calming green that is symbolic natural elegance and simplicity. The suite comes across as a compact accommodation option that has entrance through private verandah and offers a private paved backyard. 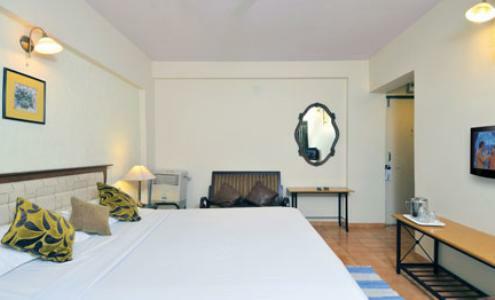 The décor is styled in simple manner by expert designers keeping in mind the natural beauty that surrounds the suite. Garden Heritage suite also has very classy interiors that are adorned by wooden ceiling rafters, shower cubicle and antique carved bedback. Apart from its pretty looks, the Garden suite is also very practical stay choice because of the several amenities and features it has to offer. The suite is equipped with LCD television with subscription to satellite channels, bar table, cozy mater bed, music system, DVD player, dimming alabaster lighting and many more. Ideal for couples seeking romantic setting for their lovely vacation, the Garden Heritage suite is one of the most sought after accommodation available here. Located in the Heritage wing of Ramsukh Resort hotel, Luxurious suite is one of the finest accommodation options on offered at their Mahabaleshwar branch. As the name suggests, these suites are themed around lavish luxury and premium indulgences and therefore they attract high profile or VVIP guests who value their comfort. 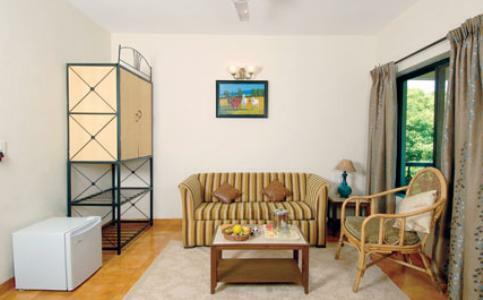 The Suite houses a spacious balcony that overlooks the majestic beauty of Krishna valley. The structure and décor of the Luxurious suite is kept very opulent and is adorned with sloping roof, antique French railing and artistic paintings and elements. The suite consists of a spacious living area, bedroom and generous bathroom, all of which are fitted with best of amenities and facilities to keep guests pampered during their stay here. The bathroom boasts of a bathtub and private Jacuzzi, where guests can relax after unwind after a tough day. Apart from these, the suite is also equipped with modern facilities such as LCD television with subscription to satellite channels, bar table, cozy mater bed, music system, DVD player, dimming alabaster lighting and many more. Enjoy best of lavish luxury and classy comfort by choosing to stay at the Tiffany Solitaire available at Hotel Ramsukh Resorts, Mahabaleshwar. This suite was designed for high profile guests and to meet the needs of highly privileged holiday makers, who need the best of everything at their fingertips. The Tiffany Suite is located on the ground floor of the solitaire wind and has an open balcony that faces the lush green lawns and garden that surrounds the wing. 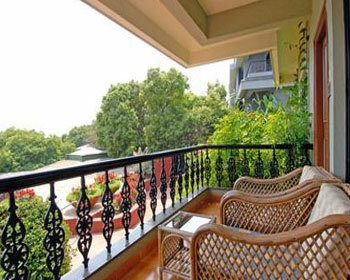 The balcony also has a sit out tea table where guests can enjoy their meals while admiring nature in all its glory. The suite consists of lobby area that is equipped with tea and coffee maker, a plush bedroom has adorned with gracious teakwood log ceiling along with a rustic looking fire place and a lavish bathroom. The bathrooms are another notable feature at the Tiffany Solitaire and includes double wardrobes, chairs, additional tables, counter basin, WC and rain shower to pamper the guests. Patrons also get access to 2000 square feet of outer space that is fenced by a tree wall and equipped with Sundance SPA of 5' x 7' with 17 powerful SPA jets as well as hot water and filtration system. To ensure that every need of guests is answered within the four walls of the Tiffany; the suite is equipped with LCD television with subscription to satellite channels, bar table, cozy mater bed, music system, DVD player, dimming alabaster lighting and many more. Located on the ground floor of the Solitaire wing; the Cullinan is a Victorian style suite that offer premium luxury and lavish indulgences to pamper the guests with best facilities and services. Aimed at foreign guests and VIP travelers, who seek an accommodation choice, which is in line with their tastes and personalities; the Cullinan offers comfortable setting amid majestic surroundings. Furnished with premium material such as silk furnishings, royal chairs, classic decorative teakwood bed as well as White Duco paint, crystal handles, decorative mirrors; this suite pleases and impresses the guests at first sight. The ambience if further enhanced by exotic crystal chandelier and lights with dimmers, which offers an experience that patrons will not forget for a long time. The Cullinan also sports an open forested space of 2300 sq.ft. with Sundance SPA of 5' x 7' that has inbuilt 17 powerful SPA jets with hot water and filtration system to pamper the guests after a tough day. Another significant feature of this suite is the lavish bathroom, which includes private lobby, double wardrobes, chairs, additional tables, counter basins, WC and rain shower system. On the inside, patrons will find a spacious lobby area with tea and coffee maker, main bedroom and bathroom. The suite is equipped with LCD television with subscription to satellite channels, bar table, cozy mater bed, music system, DVD player, dimming alabaster lighting and many more. 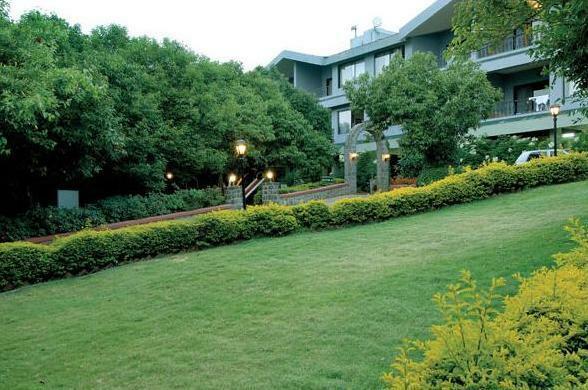 Lavish indulgences and luxury help Cullinan stand apart from its competitors in the market! The Florentine Solitaire Suite is located on the first floor of the building and offers unparallel luxury and lavish grandeur that is will not disappoint you. Aimed at patrons who value their indulgences and like their luxuries to reflect their personal taste and personality; the Florentine suite offers everything in one package. The suite has 50 up lifters with soft yellow lights from wooden logs which create a mesmerizing effect offering an ambience that is nothing short of astounding. The Florentine suite house a personal oval shaped swimming pool spread across an area of 400 square feet. The surrounding deck also is laid out of 400 square feet and offers 360 degree panoramic view of the green mountains, valleys and forests. The swimming pool is adorned with 400 submerged LED lights that make up for an unmatched setting as far as ambience is concerned. The structure of the suite is quite simple and elegant with slanting roof and spacious surroundings. The room itself is different sections to ensure organization and ease for patrons. The décor is furnished with best materials like silk furnishings and others. 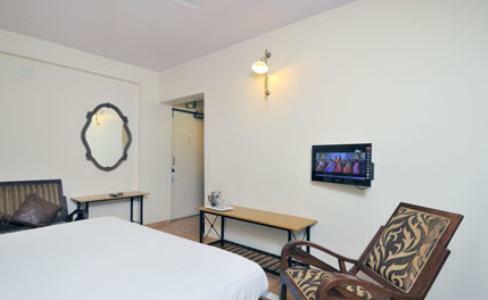 Patrons can also expect to be pampered by some of the best amenities and features like include plush bed, wardrobe, seating unit, lavish bathroom with premium fittings, swimming pool, electronic safety deposit locker, Jacuzzi, hot and cold running water, color television with premium channels and many others. The Blue Heart Solitaire Suite is one of the most lavish and luxurious accommodation choice offered by popular tourist hotel Ramsukh Resorts. The Suite is located on the first floor and is themed around blue and brown color, in line with its name. The Blue Heart suite is smaller compared to others offered here, but is crafted in a very thoughtful manner to offer ample space and keep things organized for guests. The Blue Heart suite consists of a lobby area, dining room, living room and master bedroom along with an attached bathroom. Every section of the suite has been designed by experts keeping in mind the tastes of guests that this solitaire attracts. As far as indulgences go, the Blue Heart boasts of a private swimming pool spread across and expanse of 180 square feet area with a 2 inch wide passage way for patrons to walk. The swimming pool is further complemented by an azure waterfall that provides the stunning smashing image. The swimming pool is located in front of the house and is tiled with Bisazza ½” blue tiles with classy LED lights that lit up the water spreading the calming shade of Blue all around. The Blue Heart Solitaire also faces the Krishna valley and offers majestic view of the natural beauty. In addition to this, it also boasts of a gracious bathroom with Jacuzzi, double basins and WC. The lobby area has double wardrobe and the interiors are adorned with beautiful silk curtains and sofas with one side open. The master bedroom houses a plush bed that ensures good night’s sleep in this majestic environment. Named after one of the most rare diamonds in the world; the Earth Star Suite is located independent of any of the other accommodation options. This majestic architectural marvel has been crafted by expert architects and designers to offer it very lavish yet elegant aura that suits the needs of patrons. 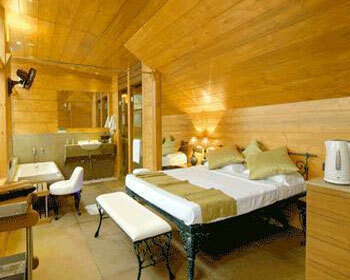 The Earth Star suite features a slanting roof that is supported by artistically carved out solid trunk of tree. This eco-friendly layout gives the room very natural ambience and charm that gives the Earth star its unique identity. The décor and interiors are carefully designed to meet tastes and preferences of high profile guests. The interiors are decorated with classical paintings and cultural artifacts that makes sure to fill the room with opulence. The old world charm the natural décor doesn’t mean the suite misses out any comfort features. 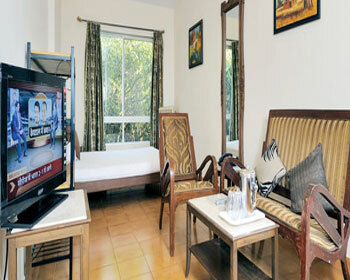 The Earth star suite is provided with all modern amenities and facilities to pamper guests. The main among them include plush bed, wardrobe, seating unit, lavish bathroom with premium fittings, swimming pool, electronic safety deposit locker, Jacuzzi, hot and cold running water, color television with premium channels and many others. The Earth Star offers complete privacy away from prying eyes to ensure that you have wonderful time with your loved ones. 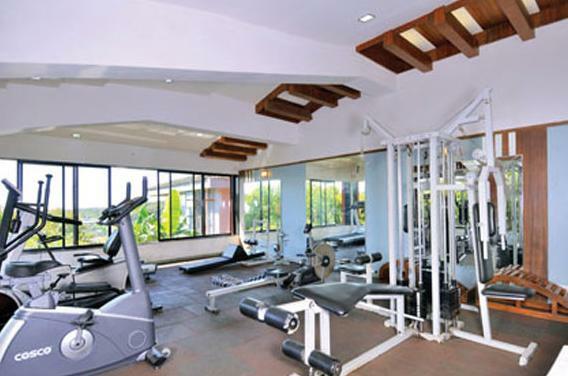 Being one of the most reputed luxury resorts in Mahabaleshwar, Ramsukh Resorts try and make arrangement for everything that clients might need for wonderful experience. 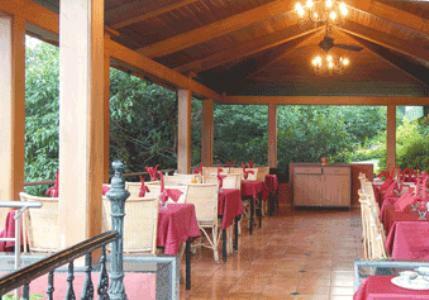 In line with this, the resort has developed an onsite multi cuisine restaurant on it’s property. Being located on premises of the resort, this restaurant offers guests access to delectable and healthy food from different parts of the county and the world. Surrounded by majestic mountains and beautiful valley; the multi cuisine restaurant offers an unforgettable dining experience to guests. Serving scrumptious dishes from Indian, Chinese, continental and Gujarati cuisines; the diner has been able to satisfy both stomach and hearts of the clients. The food is prepared as per traditional recipes using organic ingredients and rare spices, which bring out the unique flavor of the dishes. Be it breakfast, lunch or dinner, the well crafted menu will never disappoint you. Guests can also indulge themselves in Jain delicacies and other specialties served here. The unique ambience and attentive service coupled with delicious food; make this restaurant one of the best diners in this hill station.